Whatever your music taste, getting to the concert by limousine will make the occasion that much more memorable. Whether your genre is rock, pop, orchestral or ballet, make it a totally unforgettable event by arriving in your very own personal limousine. 1. Your limousine will be top of the line. Sit back in the comfort of the luxurious leather upholstery while getting in the mood for your musical night out. All our limousines are fitted with a quality sound system so you can rock your way to the gig, or play some classics while enjoying a drink from the limousine’s bar area. Larger limousines are equipped with flat screen TV in addition to CD/DVD player. 3. Your wish is our command. However many you are, we have party buses for the larger group, stretch limos for the medium group and sedans and town cars for the couple. 4. Logistics is our forte. Our drivers will arrive punctually to get you to your event on time. If you need to pick up other members of your group on the way that is no problem at all. Wherever you are going we cover Bethesda, Rockville and surrounding MD areas including Potomac, Gaithersburg, Silver Spring, and of course, Washington DC. 5. Specialized service. All our drivers will be dressed professionally and have been trained to provide outstanding and courteous service. They are on hand to ensure that you will have a truly enjoyable and fun experience. 6. No stress over the drive or the parking. You will be collected and returned to the door of your home, and can party the night away both there and back. No need to restrict the fun by worrying about the driving. 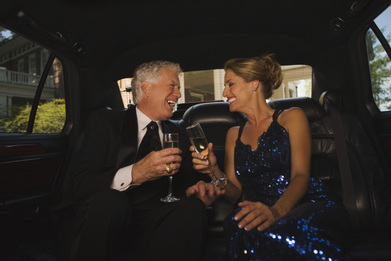 Take these easy steps to arrange your concert limousine. Complete the form above and request a FREE Quote. Alternatively get on the phone and call us at 301-825-8833.